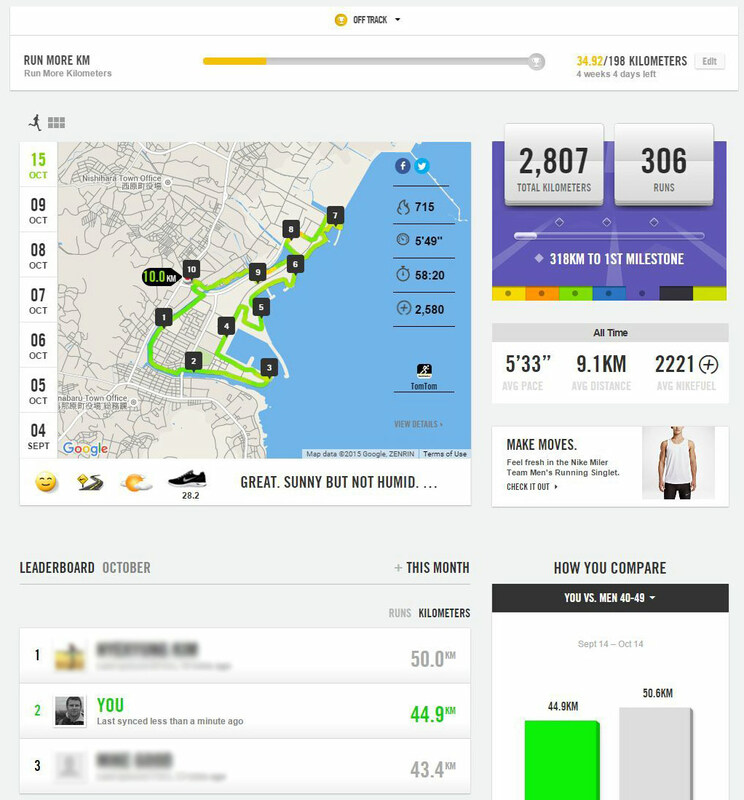 I’m having a problem with my runs not tracking to my self-imposed challenge on the Nike+ website. It’s not a big issue but I’m trying to get it sorted out. Support via Twitter is not ideal but that’s what I am working with and I am making this post to help get the problem sorted out without having to repeat myself too much and/or break Twitter. I’ll update this post when I have new information. @NikeSupport Only the first run this month (Oct 5) was added Oct, 6,7,8,9 weren't added. @NikeSupport I don't want to lose the GPS data. Have you fixed the problem or is this the "solution" from now on? @NikeSupport OK. Let's not worry about the old data. Is it going to work from now on? Have you fixed the problem? @theshirtlist Let's have you uninstall the Nike+ Running App> restart your device> re-install the App. @theshirtlist Doing so should help prevent this experience in the future. 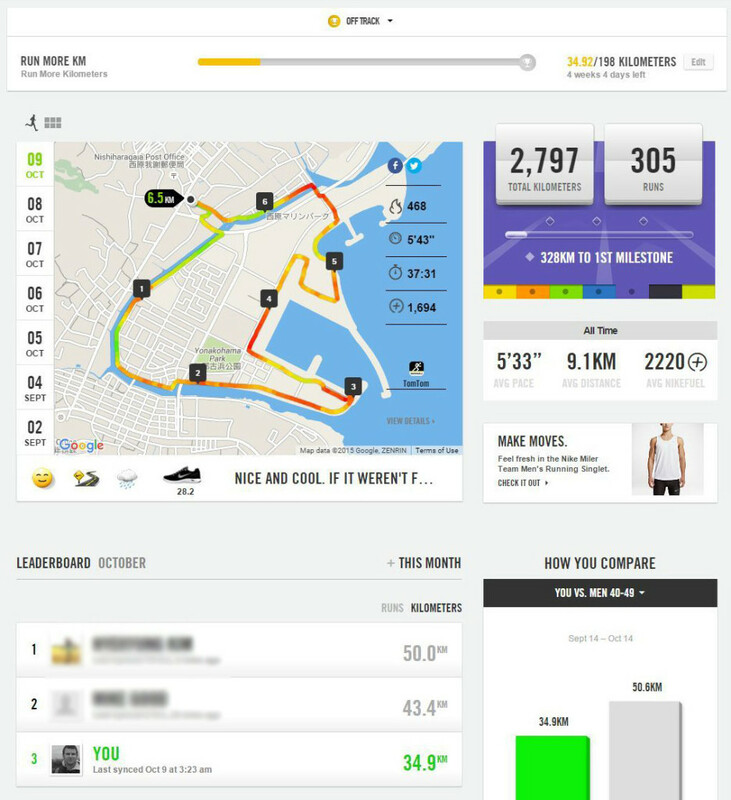 @theshirtlist Since you view the Nike+ Challenge through the Nike+ Running App, we want to see if a fast uninstall/reinstall does the trick. Of course my mistake here was not checking the Nike+ website before uninstalling and re-installing the app. I don’t think that is what fixed the problem. I suspect that one of the engineers inadvertently fixed it when he was checking it out for me. Anyway, I went for a run after doing that, came home and hooked up my TomTom watch to the PC to upload my run. It seems to upload fine but it didn’t track to my challenge again. While the run shows at the bottom, it hasn’t tracked to my challenge. I uninstalled the mobile app and re-installed it again but the run still hadn’t tracked. Not that I had expected it to. @NikeSupport I could do that myself but I don't really want to lose my GPS data and I don't want to have to do it every time I go for a run. @theshirtlist We hear you. The only way your data will push through to your challenge is to delete and re-add those source runs. @theshirtlist We can manually delete/re-add your run from today. All that we need is the duration and distance of that run. @NikeSupport OK. First, that doesn't appear to be true as the runs that I first talked about not tracking have now been tracked with GPS. Well, I went for another run and this time I decided to upload it through the app on my phone rather than my pc but that didn’t work either. The run uploaded but it wasn’t added to my challenge. The Twitter conversation continued to an unsatisfactory conclusion. @theshirtlist When you mention track, are you referring to the GPS map? @theshirtlist Where are you currently located? @theshirtlist Give us a call at 0120-6453-77 (9-18:00 JST, M-F) to assist you further. @theshirtlist If you would prefer to speak to someone in the United States, you can give us a call at 1-800-379-6453 (6a-7p PT, daily). I’ll call them next week if I find the time.